Kristen Greif is an HNN intern. Justice Antonin Scalia, the late Supreme Court justice, was widely known as an advocate of originalism. But just what is it? It’s understood generally as a belief that the Constitution should be interpreted strictly. But here’s where the difficulty comes. There’s no agreement on what it means to interpret the Constitution strictly. One version is to focus on the original beliefs of the drafters by attempting to divine their intentions. A second version, which Scalia advocated, is textualism. This is the belief that judges should base their interpretations on the written word of the Constitution, sidestepping the long and difficult task of determining what the Founding Fathers’ intentions were. By contrast, most liberals believe the Constitution should be interpreted as a living document, meaning that the Constitution should be allowed to stretch and adapt as society evolves. Many liberals, such as Robert Schapiro of The Conversation,have argued that originalism fails to take into account the fact that change often triggers a reevaluation of values. Scalia’s stance on constitutional interpretation became popular among conservatives during the administration of Ronald Reagan. Strict construction of the Constitution, in their view, would limit the Court’s ability to trigger social change. This became a priority in the 1950s after the Supreme Court began issuing landmark social justice rulings from the Brown decision requiring the desegregation of schools to Gideon, which mandated the appointment of attorneys for criminal suspects who couldn’t afford one. Many know Bork as Reagan’s rejected nominee to the Supreme Court in 1987. The resistance to Bork surprised some at the time since he was well qualified for the job. He had not only been a published professor at Yale, but also had experience as a federal judge. Liberal opposition was based on his views, many of which were regarded (by liberals) as outside the mainstream. Conservatives charged that liberals had demonized Bork, leading some to use his name as a verb. “To bork” someone is to destroy a political opponent. Liberal opposition to Bork rested on the fear that a self-professed originalist would undo the liberal decisions the Court had made in prior decades. Bork, for example, opposed the outcome in the Griswoldcase (1965), which overturned restrictions on the access to contraceptions. 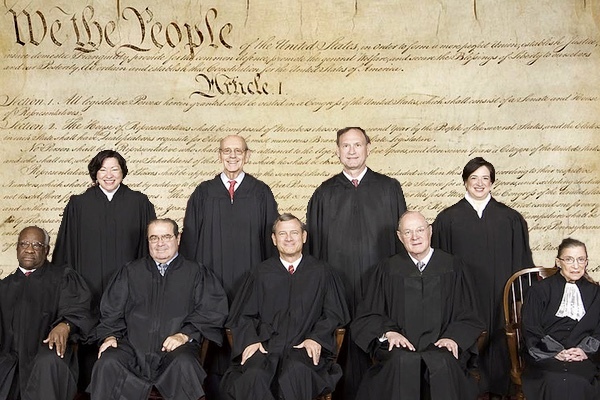 The ruling rested on a belief that the Constitution gave Americans a right to privacy. Bork contended that the justices discovered a right that didn’t exist.